The Wicker Man was released in 1973, so you don’t have to be Countdown hottie Rachel Riley to work out that this year is the cult film’s 40th anniversary. In response to that, Studiocanal, with the endorsement of The Wicker Man director Robin Hardy, has launched a worldwide public appeal to locate original film materials relating to the horror classic. The now widely lauded film was released with minimal promotion in 1973 as the second feature of a double bill, alongside Don’t Look Now. What an original line-up that is! However, that version of The Wicker Man was significantly shorter than Hardy’s original cut. That’s because in 1973 Hardy’s debut film fell victim to a boardroom takeover at distribution company British Lion, and had its release temporarily shelved. A finished version of the film that director Hardy was happy with had been delivered with a running time of 102 minutes. 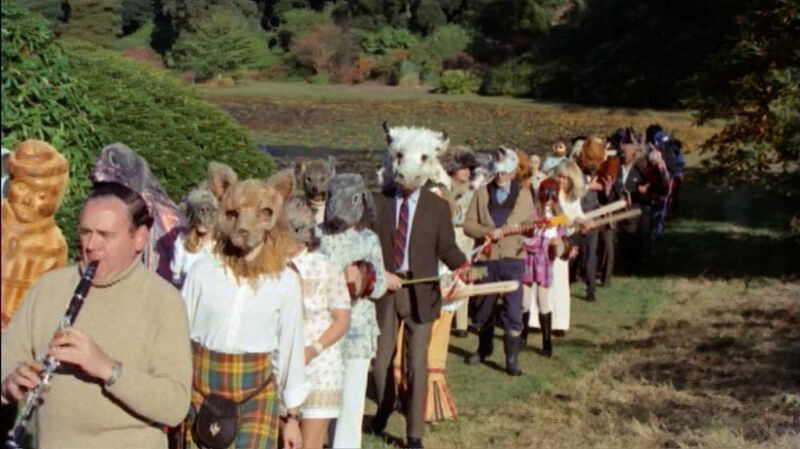 When The Wicker Man did finally reach UK cinemas, 15 minutes had been cut – leaving the film’s running time a trim 88 minutes. Hardy and the other filmmakers had not been involved in the cut and did not approve of this new version. Unfortunately, the negatives disappeared from storage at Shepperton Studios and were allegedly used as landfill in the construction of the nearby M4 motorway. They are considered lost forever. “I never thought that, after 40 years, they would still be finding lost fragments of my film. We thought all of The Wicker Man had gone up in flames, but fragments keep turning up and the hunt goes on!”Hardy says. A Facebook page has been created to help with the search and anyone looking for updates or with any news of a surviving print should visit the dedicated Wicker Man Appeal site. “Help us conserve, restore and release one of the best British horrors of all time!” a Studiocanal spokesman said. It’s an archaeological film dig! But Studiocanal, what a big dig you have… your first option is to believe the stories that there’s a print buried beneath a motorway but then again the film stock will still be in tact since from certain rumours it’s not biodegradable. Or find the original list of distributors the film was sent to and hope one of them has a copy in their archives, the only problem is, some of those are now out of business so where do you go from there? One of the greatest film mysteries of all time, finally being brought into the modern day… Where is The Wicker Man (Uncut)?